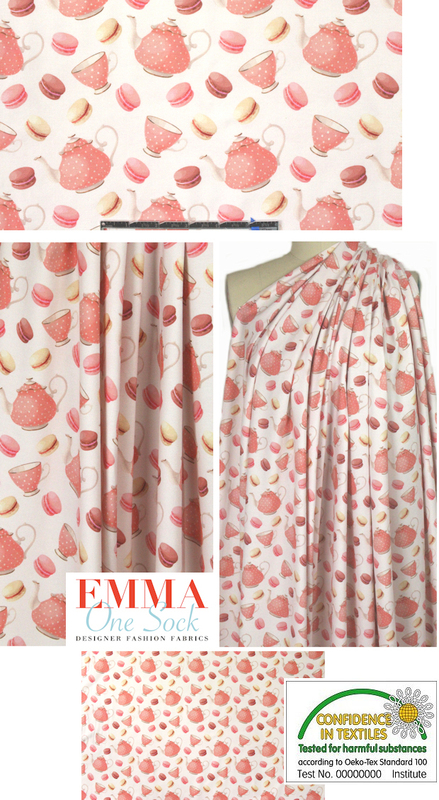 Here's another AMAZING cotton/lycra print imported from The Netherlands! First, the quality of the fabric is sublime, soft and substantial, with 40% stretch in both directions. It is opaque and has a luscious hand and drape with body. The digital "tea time" print is absolutely charming, with shades of soft pink, sand and neutrals (PANTONE 14-1420, 16-1626, 13-1010, etc.). Make a very special tee, top, tunic, skirt, dress, etc. The manufacturer recommends hand or machine wash warm, hang to dry. Please test first.